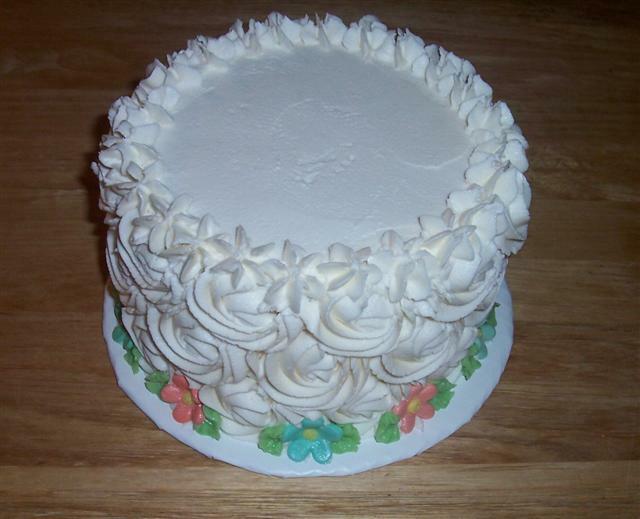 6″ yellow butter cake with vanilla butter cream. 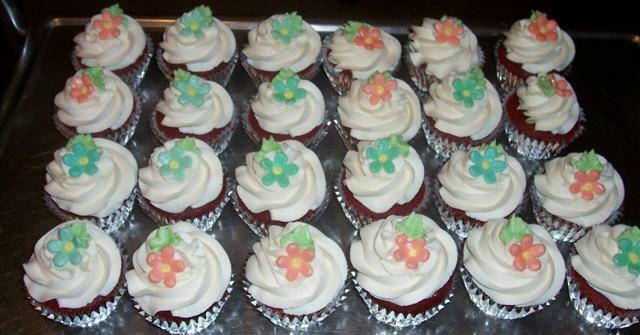 Here are just a few of the 120 cupcakes made for a wedding, plus a 6″ cake topper for the bride and groom to cut. Bridal colors were peach and sea-foam green. 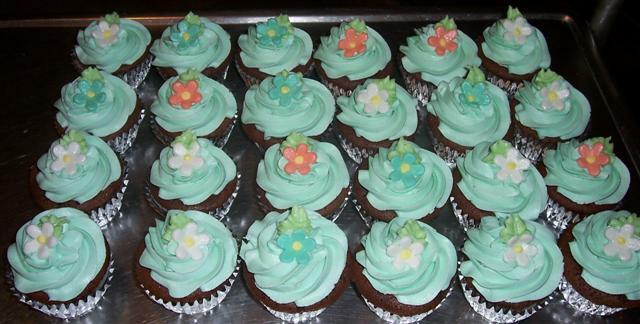 The tiny flowers are fondant. Classic yellow butter cake with lemon butter cream. Red Velvet with vanilla butter cream.